After the events that took place in the first book, Olivia is now living with her grandfather, attending a private school and living a life of privilege; she has left her old foster family life behind – including Jack ‘Z’ but when she starts to receive gifts that include expensive jewellery, she starts to question the sender and whether Jack and her past has returned. Jack is a criminal hacker along with a foster family of teens that are trying to keep a low profile and start afresh but he isn’t finding the change easy, especially without Liv but he easily slots back into her life despite their differences to help her find her mysterious stalker, especially when clues start to point his way. The characters were great, Olivia is a determined and resilient young woman whose computer skills and her desire to find a place where she fits in make her seem vulnerable, her inner monologue was quite sad. Jack was a conflicted character, he has suffered loss and can’t see a life away from hacking despite his potential; I enjoyed their interactions and the way that they complimented one another. This book was light on the hacking and romance and focused on the mystery surrounding the cryptic gifts, roses and events surrounding Liv; to be honest I was completely clueless about who was behind it all and in the end I was wrong in my guesses. The book is very well written, I was glued to the pages right from the beginning; I was engrossed in the story-line and thoroughly enjoyed getting to know the characters. I will definitely be reading more books by Viv Barnes. 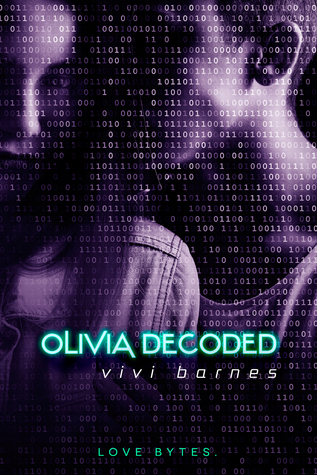 Thank you to Entangled Teen via Netgalley for the opportunity to read and review Olivia Decoded. About the author: Vivi Barnes was raised on a farm in East Texas where her theater-loving mom and cowboy dad gave her a unique perspective on life. 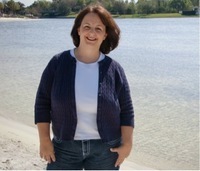 Now living in the magic and sunshine of Orlando, Florida, she divides her time writing, working, goofing off with her husband and three kids, and avoiding dirty dishes. 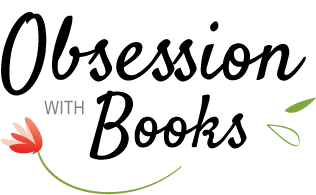 Check out http://www.oliviatwisted.com/ for the Olivia Twisted official trailer!